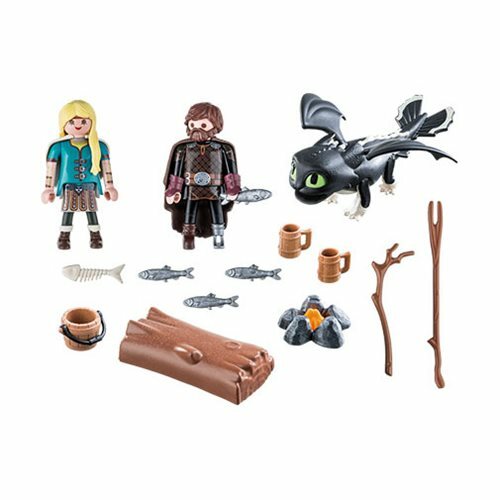 Dreamworks Dragons are back with Playmobil 70040 Dragons Hiccup and Astrid with Baby Dragon! Hiccup comes complete with beard, fish, fire, and mug while Astrid is ready for battle. Baby dragon is ready for lunch, complete with half-eaten fish. Ages 4 and up.